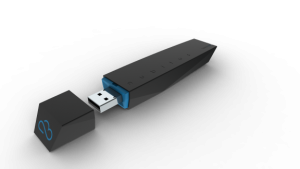 USB key automatically sending and receiving information through a cloud solution from anywhere in the world. Nubitus is a connected tool which automates file management for any instrument or device equipped with a USB port. Easy to use, the Nubitus receives files from anywhere and transfers data automatically to your own private server or cloud solution without any manipulation. With our simple to use Nubitus app, you will be able to manage every option available on the Nubitus key. You will have control over Wifi speed, FTP, FTPS and SFTP as file destination and options like bidirectional transfer, file encryption or file compression. Nubitus is the perfect tool to improve the normal NDT workflow, ease the data transfer between inspectors level 1, 2 and 3, secure your acquired files, facilitated data searching on your server and a lot more. Nubitus works with every high-end instrument equiped with a UBS port. Nubitus is a perfect solution to transfer all kinds of medical information in a single secured cloud solution in an encrypted file format. Our experience in the health industry is pretty strong. Therefore, we know how important your time efficiency and your data security are important.